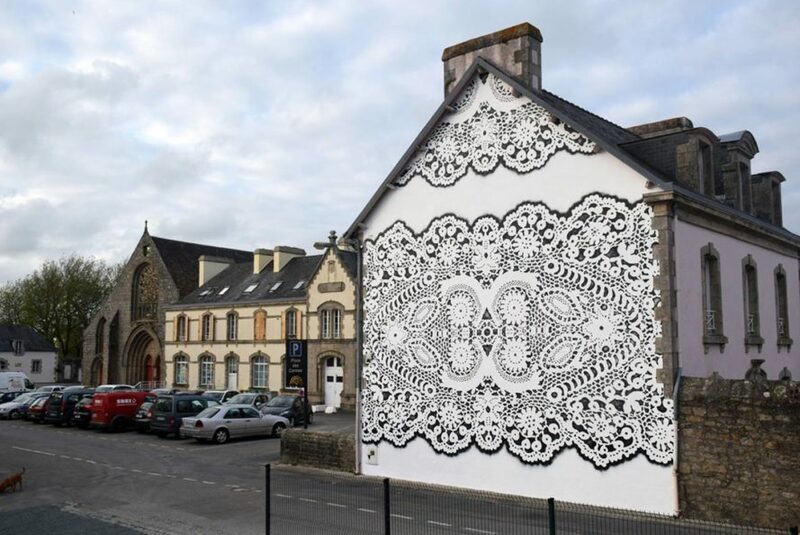 Polish artist NeSpoon travels around the world with lace-inspired art. She recently visited Wroclaw, Auckland, Pont-l’Abbé and Warsaw, where she crafted delicate pieces to beautify certain gritty urban corners of the various cities. 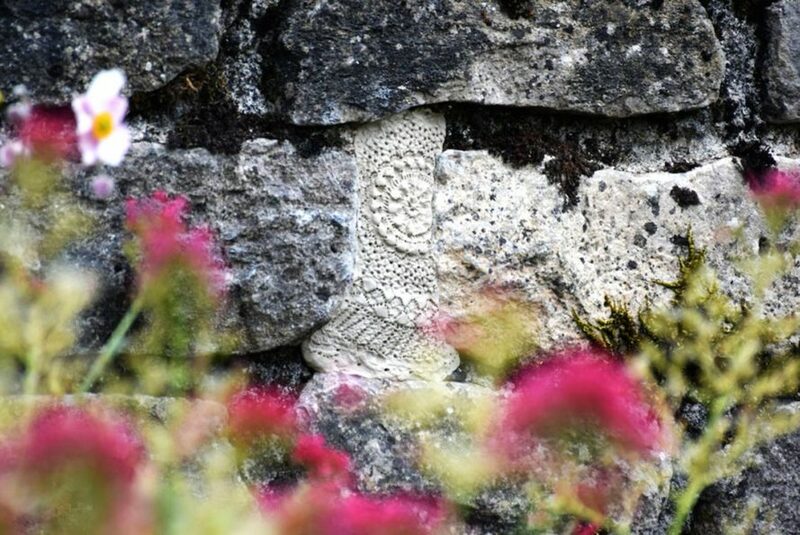 The doily art works can be spotted adorning a crumbled facade, dressing down a pavement or as a detail on a stone wall, and they are unlike anything we have ever seen before. NeSpoon’s creations have recently embellished various walls, streets and public parks around Poland, New Zealand and France. Aesthetically, they draw inspiration from traditional embroidery, yet the different creations are made using ceramic, rope or a stencil, and a spray can. The ‘urban jewelry’ can be imprinted on the wall, can take shape as an aerial sculpture or as a doily detail on a wall. Each piece is handmade by the artist herself or with the hand of traditional folk artists with whom she works. NeSpoon recently embellished grity corners around Poland, New Zeeland and France. Her creations are large-scale and can cover entire walls. Sometimes she uses a stencil and a white spray can. Sometimes she imprints the lace on ceramic. The delicate aesthetics clash with rough urban surfaces. NeSpoon works alone here, in the streets of Warsaw.